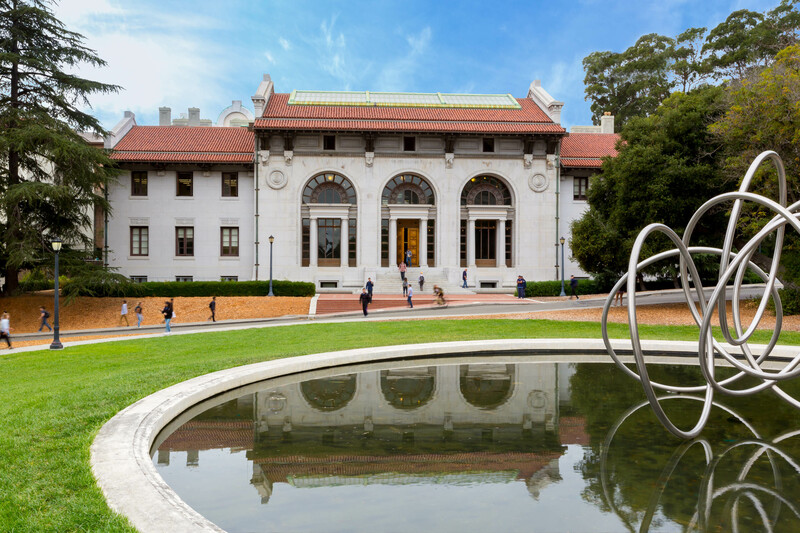 This Beaux-Arts, 130,000 sf, four story building was originally designed by campus Architect John Galen Howard. 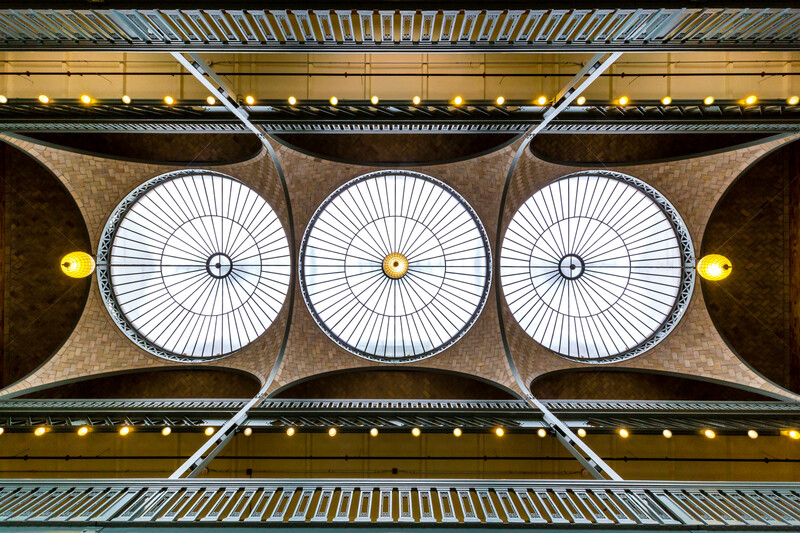 According to Robert Berdahl, the UC Berkeley Chancellor in 2001, when the renovation project was completed, the Hearst Memorial Mining Building was the architectural gem of the entire UC system. 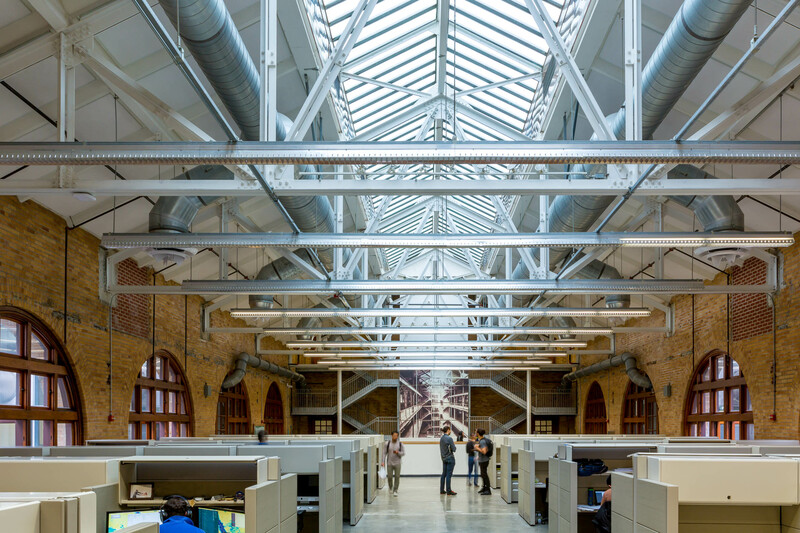 This challenging project had numerous facets within the three core project elements of base isolation, historic preservation, and laboratory modernization. 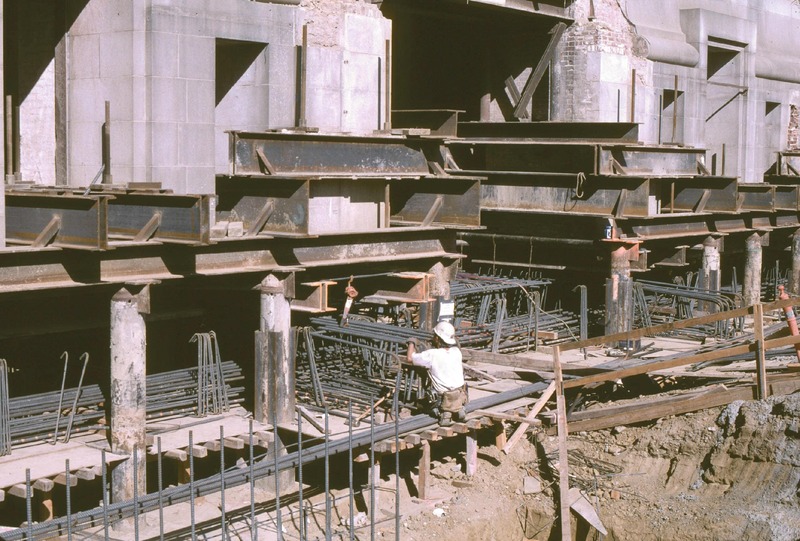 This was the first and only building on the campus to boast base isolation technology, which was pioneered at U.C. Berkeley in the late 60’s and early 70’s. 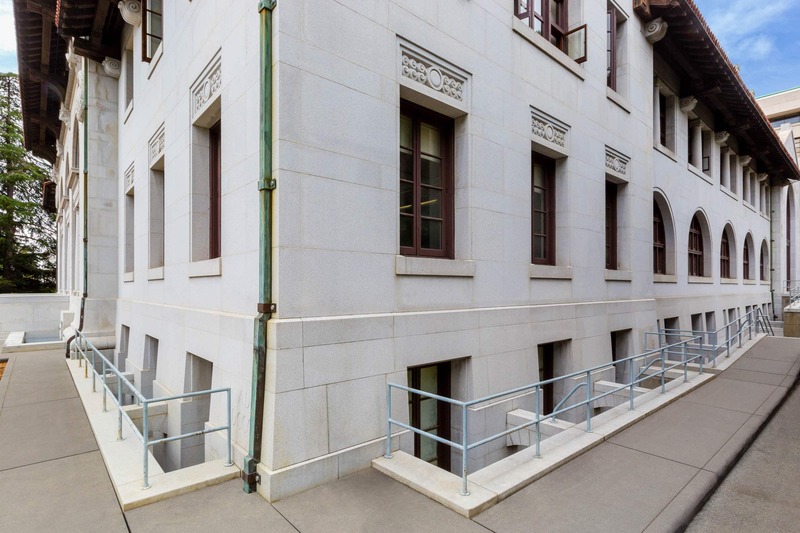 The archaic materials comprising the original building construction were maintained using state-of-the-art seismic risk mitigation techniques throughout design and construction, including replacing the entire foundation system and other seismic improvements. 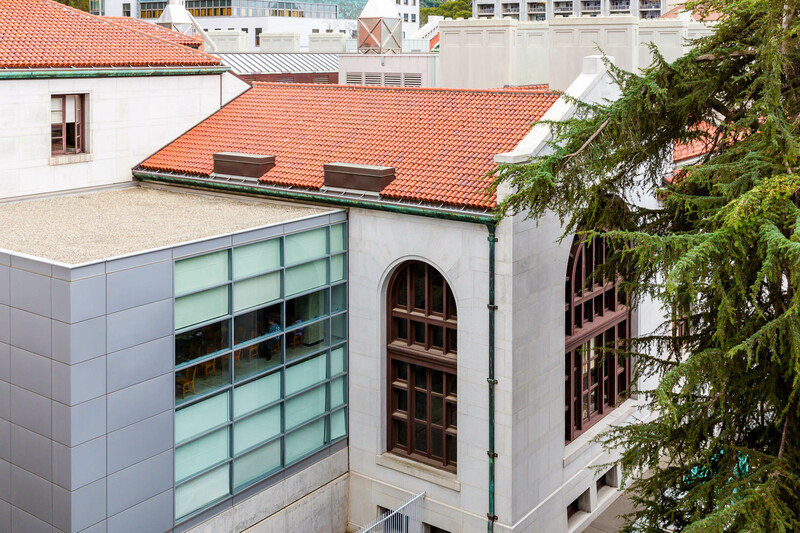 The completed building now supports state-of-the-art laboratories, faculty and graduate student offices, teaching labs, administration offices, and classrooms. Project completed by Doug Robertson as Project Manager and Associate with Rutherford & Chekene. Composite steel and rubber layered isolation bearings and viscous dampers (shock absorbers) allow the 30,000 ton building to move up to 28 inches in any horizontal direction during an earthquake, effectively decoupling the building from the violent ground shaking motion expected from an earthquake centered on the adjacent Hayward fault, located a mere 750 feet from the building. 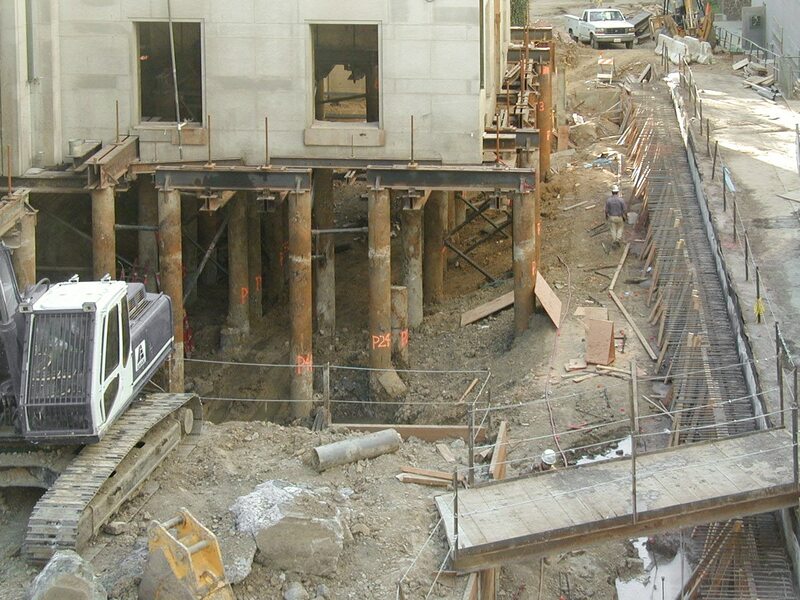 Entirely new foundation supported by 700 multi-purpose drilled piers uniquely used in all phases of construction as 1) temporary needle beam underpinning support and load transfer, 2) temporary building lateral bracing, and 3) final foundation system. First isolated building in California to have its foundation completely replaced to maintain the pre-isolation first story height. 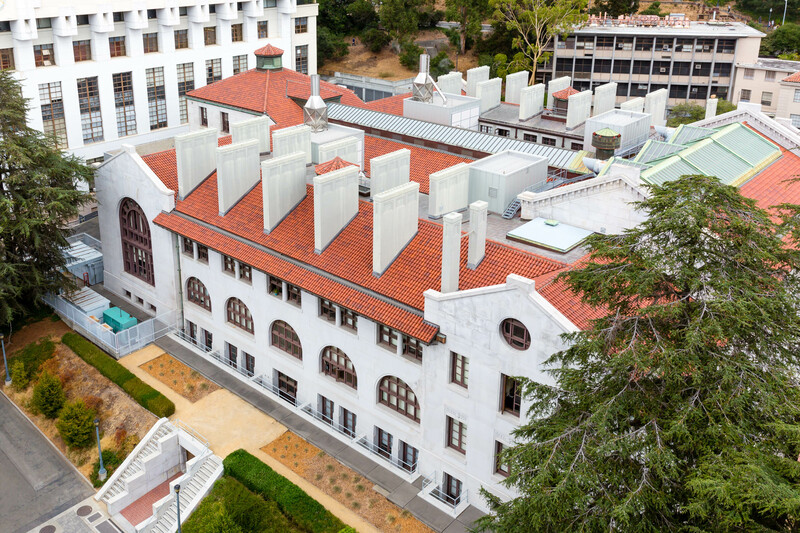 First major historic building in California to be isolated without adding additional shear walls or braced frames. 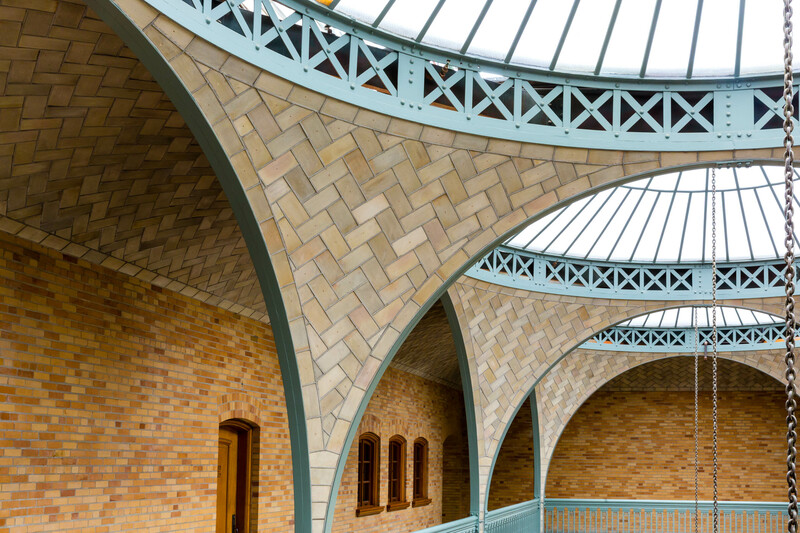 First ever seismic strengthening of a historic Guastavino tile system. Tiles were attached with injected epoxy pins attached to a fiberglass and wire fabric reinforced polyurethane foam backing structure. Reinforced the existing tall and seismically vulnerable brick chimneys with high-tension steel strands in a unique application of post-tensioned masonry. 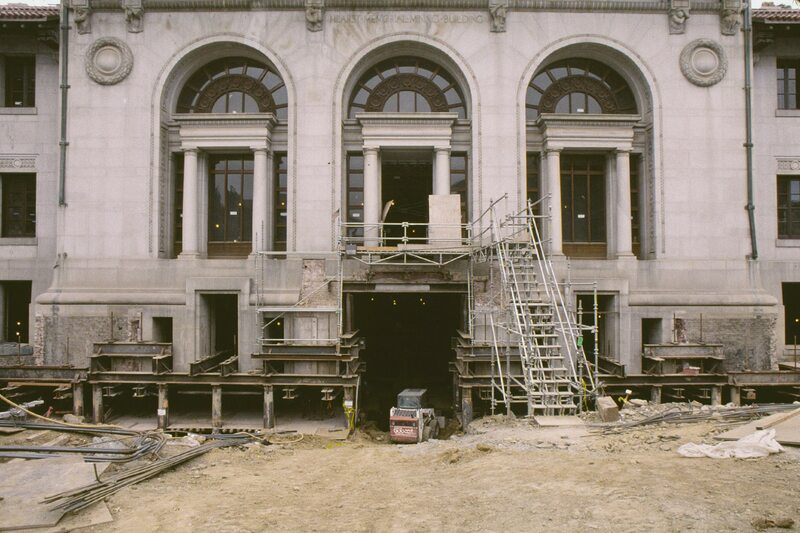 Center-core-drilled and steel-reinforced existing granite parapets. Excavated 26 feet below rear wing of original building to add to basement floor level, and added 2 three-story rear additions to capture an additional 11,200 sf of usable floor space. 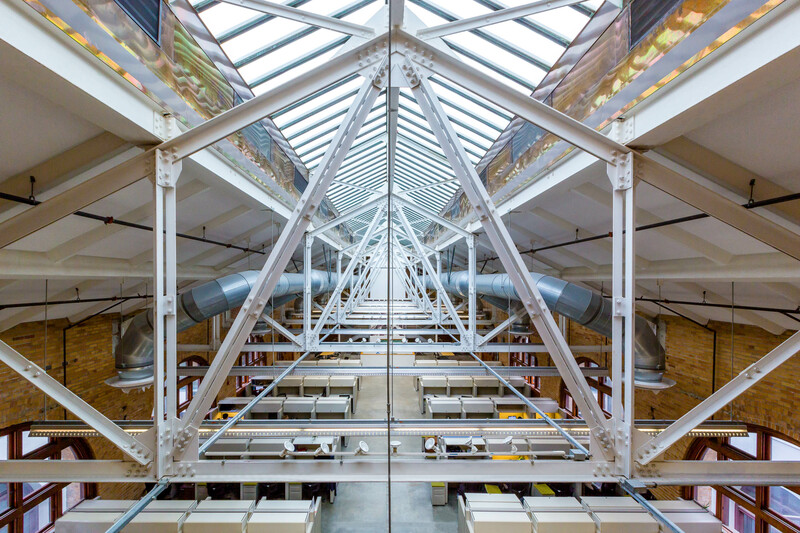 In-situ reconstruction of historic double angle trusses and demolition of the previously added fourth floor to recapture the high-ceilinged, sky-lit Central Court space for graduate student study hall. Demolition of two floor levels on either side of Central Court, reclaiming historic light courts and reintroducing daylight into the building. New two-story, 6000 sf Central Plant tucked into the adjacent steep hillside, which is retained by a 30 ft. high soil nailing system. Applied Technology Council and Seismic Engineering Institute (ATC & SEI): Top California project of the last decade involving the seismic retrofit of an existing masonry structure using seismic isolation. 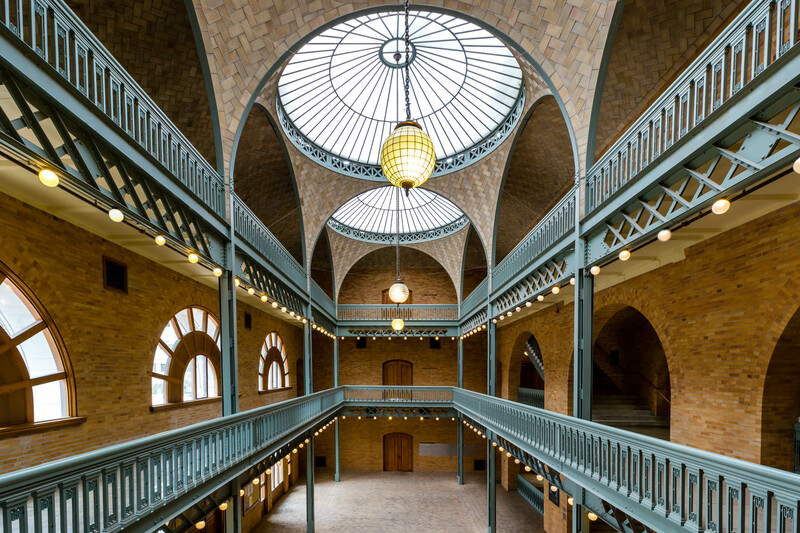 California Preservation Foundation: '2003 Preservation Foundation Award,' 'An outstanding renovation award’, praising the project as "taking great care in preserving the building and implementing the kinds of structural strategies to ensure the building will be there for a long time." 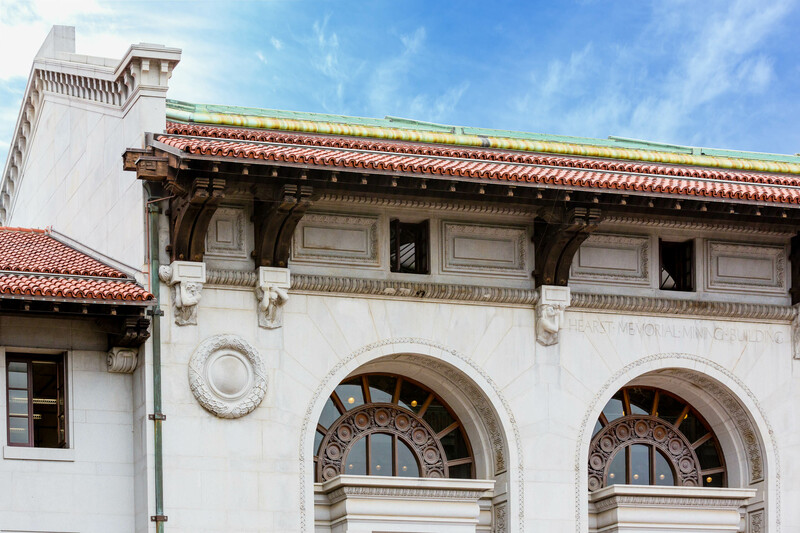 Contractor | Turner Construction Co.